Paula S. Rothenberg was a Senior Fellow at The Murphy Institute, City University of New York and Professor at William Patterson University of New Jersey. 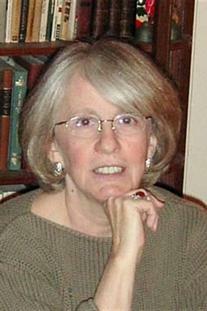 From 1989 to 2006 she served as Director of The New Jersey Project on Inclusive Scholarship, Curriculum, and Teaching. She was the author of several books including the autobiographical *Invisible Privilege: A Memoir about Race, Class, and Gender*. With Worth Publishers she has authored four titles--the best-selling *Race, Class, and Gender*; White Privilege; Beyond Borders; and *What's the Problem? *She was also co-editor of a number of anthologies including *Creating and Inclusive College Curriculum: A Teaching Sourcebook from the New Jersey Project and Feminist Frameworks*: *Alternative Theoretical Accounts of the Relations between Women and Men*, one of the first women’s studies texts. Her articles and essays appear in journals and anthologies across the disciplines and have been widely reprinted. Her work was instrumental in the creation of women’s studies and multicultural studies as academic disciplines.